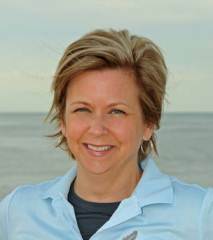 Rehoboth Beach Permit Coordinator Joanne Perry has received her permit technician certification through the International Code Council (ICC). Certification requires knowledge in the international building code, legal aspects, zone and site development, plans and documents, and successfully passing an exam administered by the ICC. Perry said she is appreciative of the support from the city, building and licensing department, and her family and friends. “The education I’ve received with this certification helps to serve the citizens of Rehoboth Beach better,” said Perry. Perry also holds a property maintenance certification. For more information about the building and licensing department, please visit cityofrehoboth.com or call 302-227-6181 ext. 222. Joanne Perry earns permit technician certification.